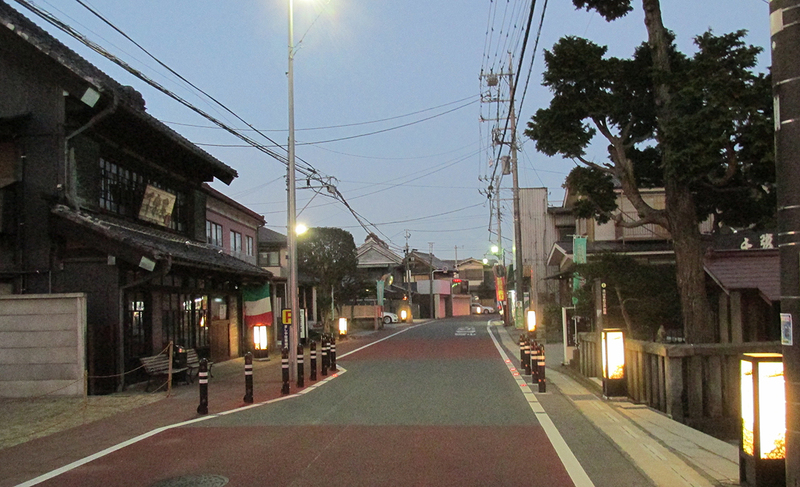 Mr. Toshiharu Hasebe and Mr. Nobuyoshi Iida, who were born and raised in Nagareyama Honcho, childhood friends and next-door neighbors, found that their historical town (1 – 8 chome, Nagareyama and 5 and 6 chome, Ka) was dark and deserted at night. 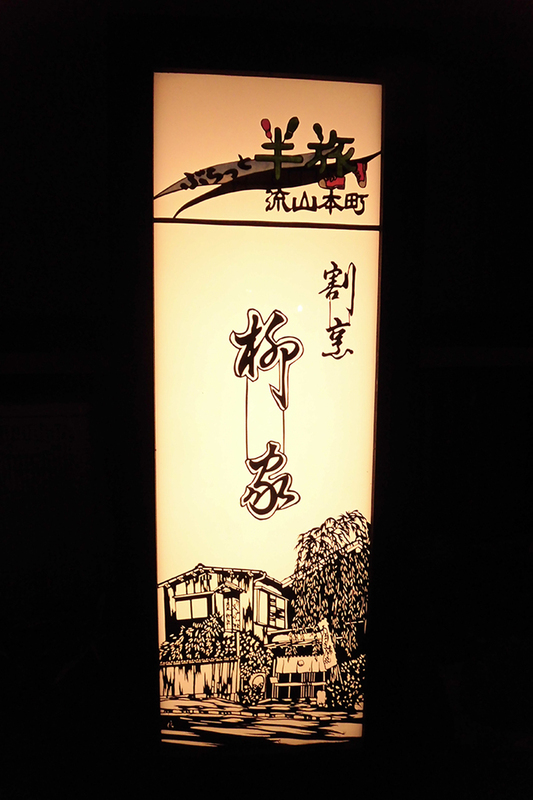 So they started a kirie andon (a traditional lamp with cutout paper shade) making project after they saw the nice ambience of the light emanating through kirie, and thought andon fits the historical streets. 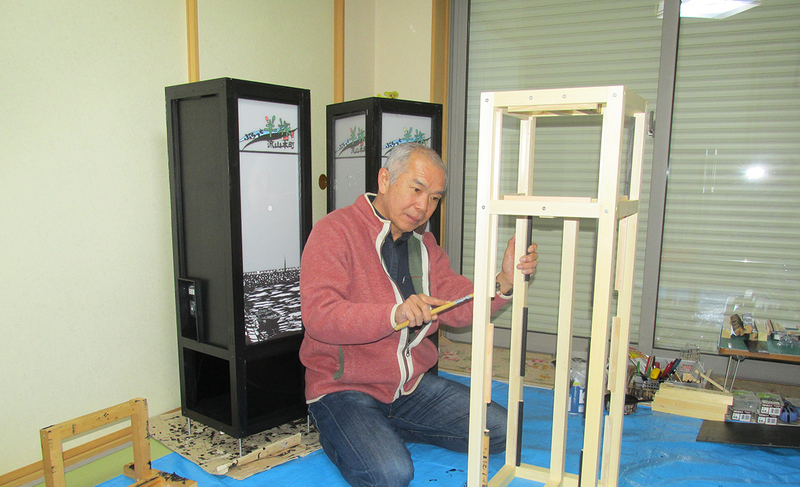 Since then, Toshiharu has been making kirie, and Nobuyoshi has been making andons as volunteers. 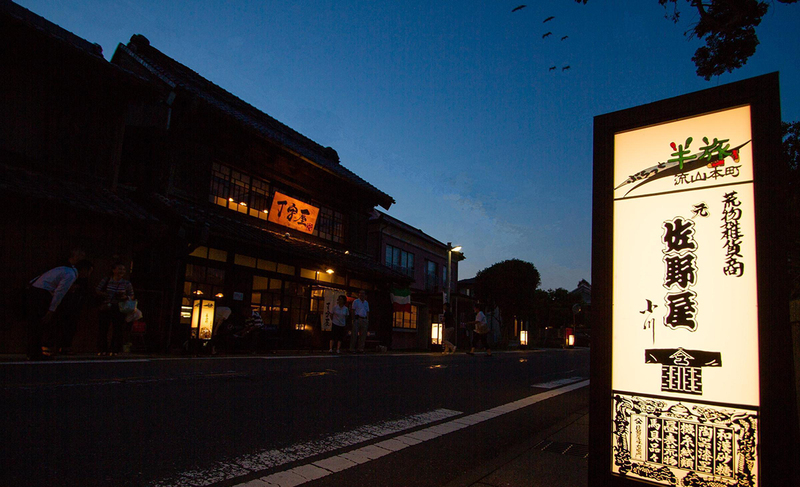 Currently, more than 80 kirie andons, which depict the history of the region, light up in the dark of the night, and bring unpretentious atmosphere to the streets. They and the local people who help placing kirie andons in the town wish that the kirie andons attract many visitors to Honcho and help revitalizing the region. 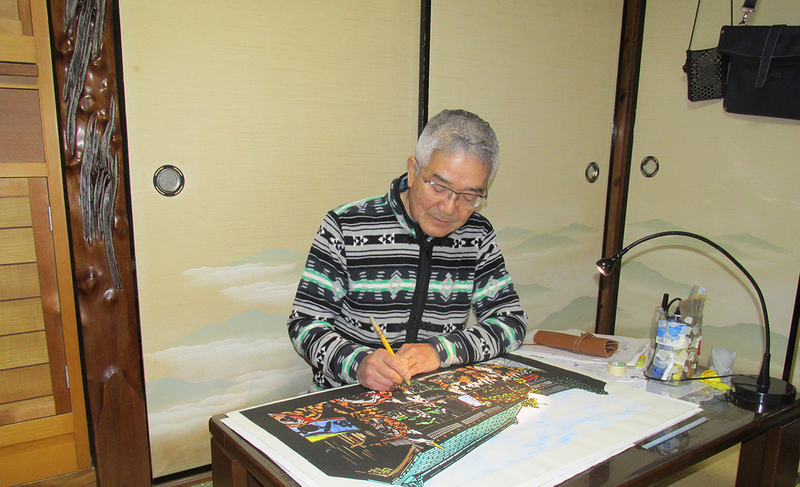 Each of the more than 80 andons in which the original drawings are placed has its own design, so they are unique artworks in the world. The design embodies the wish of its owner and the history of the town. 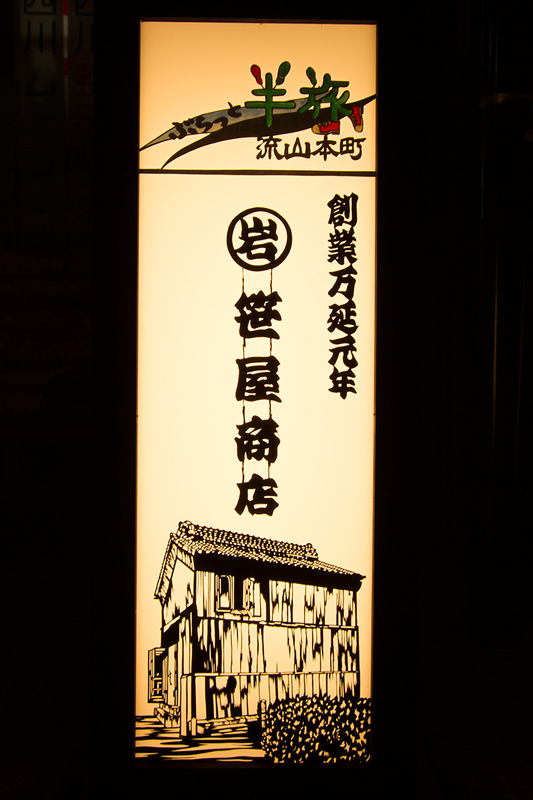 By walking around in Nagareyama Honcho while spotting the kirie andons, you can learn about the history of the town and the ancestors which have been valued by the local people and the old streets you cannot see any more. Some interesting kirie andons make you wonder “Why the design of the kirie andon of a liquor shop is an old man making a basket?” and “Why does the kirie andon of the apartment have the design of a factory?” kokosil introduces only a part of the kirie andons in Honcho. Andons are also placed in front of ordinary houses. When you walk around in Honcho, please pay attention to the andons. ※Please do not touch the kirie andons, and do not be a nuisance to the residents while walking and spotting the andons in the town. You can enjoy the tour of spotting the kirie andon by downloading the kokosil app.